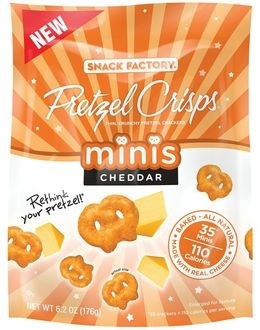 Ingredients: Wheat flour, whey cheddar cheese [pasteurized milk, cheese cultures, salt, enzymes], palm oil, salt, maltodextrin, buttermilk, dried onion, disodium phosphate, sodium caseinate, tomato powder, citric acid, spice nonfat milk, sucrose, natural flavors, autolyzed yeast extract, dried garlic, turmeric extract, annatto inosinate, disodium guanylate, silicon dioxide, soybean oil, sugar, salt, corn syrup, malt extract, soda. Packaged snack foods are usually highly processed, blood-sugar spiking, pseudo-food. If we buy processed foods we need to be careful about ingredients and avoid anything artificial. If you can’t pronounce the ingredient, it was probably cooked up in a lab. Never heard of it before….Google it and see what it is! The federal government says that if it’s not more than 99% MSG, food companies can call it what they want. The label may not list “MSG” while the ingredient contains and acts like MSG, a neurotoxin. The “All Natural” pretzels shown above have hidden MSG in the form of autolyzed yeast extract and possibly in the form of natural flavors. The soybean oil, maltodextrin, and corn syrup are not organic so it is likely that they are from GMO plants. 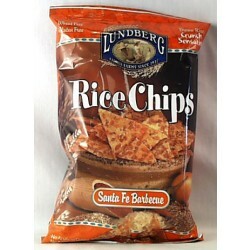 The Lundberg Rice Chips shown in the main photo for this post include the following ingredients that I recommend avoiding: Torula Yeast, Yeast Extract, Citric Acid, Smoke Flavor, Caramel Color. MSG is an excitotoxin – it excites nerve cells to death. Little children are consuming this daily – what will it lead to? Do you know how researchers make lab rats obese for studies? Pick up Russell Blaylock’s Books .